On this humid summer’s day, I went to hang out with a good friend of mine, Eddie Ngugi. 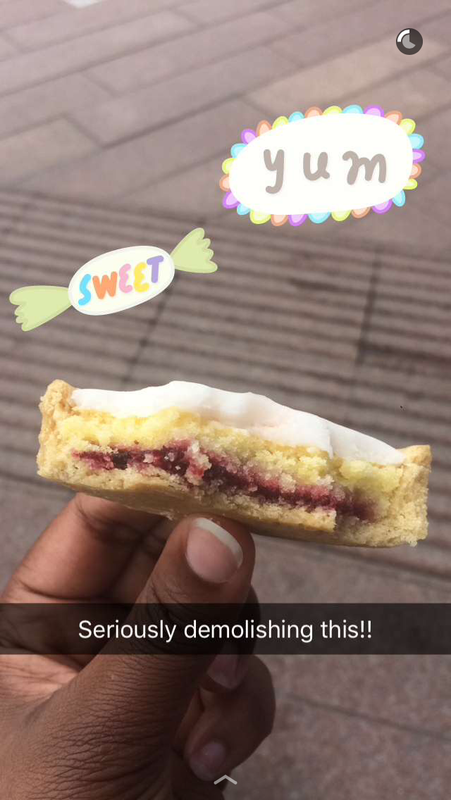 Before meeting up at North Greenwich station, I completely devoured a Bakewell tart from Costa. It was very sweet and delicious treat to enjoy while sitting in the sun and watching others play in the water foundations. With so many action films in the cinema, it was hard to choose what to watch at the O2. X-men or Warcraft? When you have seen too many Marvel films I suppose it was time for a role playing game to take centre stage. Warcraft was definitely a great choice! It had me reminiscing about Avatar for its visuals effects and Harry Potter for the effort made to stick to the original source material of the game. With all the plot twists, it definitely worth seeing and highly recommended. After the movie, me and Eddie caught up on everything from holidays, work to everyday life while eating Spaghetti Carbornara at Zizzi’s. 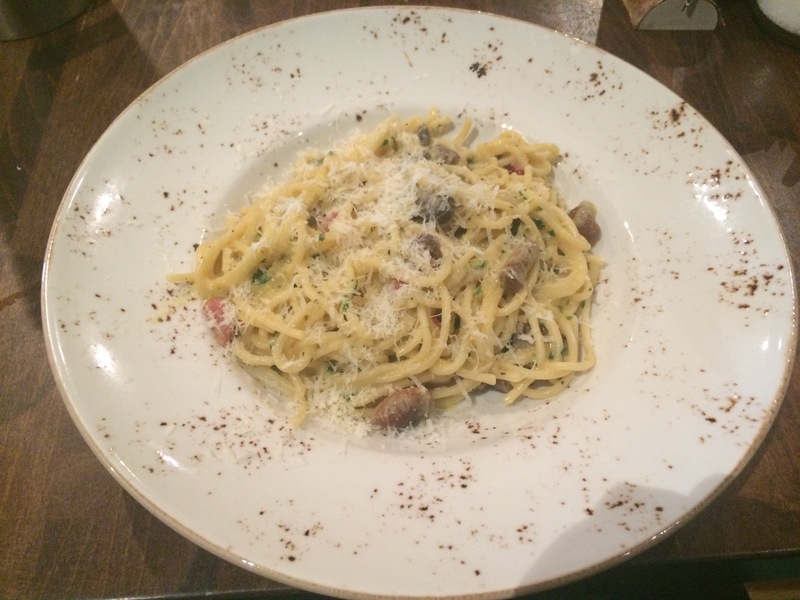 Topped with a splattering of cheese and mixed with small delicate mushrooms, this pasta dish was flavourful and filling. My only disappointment was that it was too oily. My overall experience was saved by our choice of dessert. 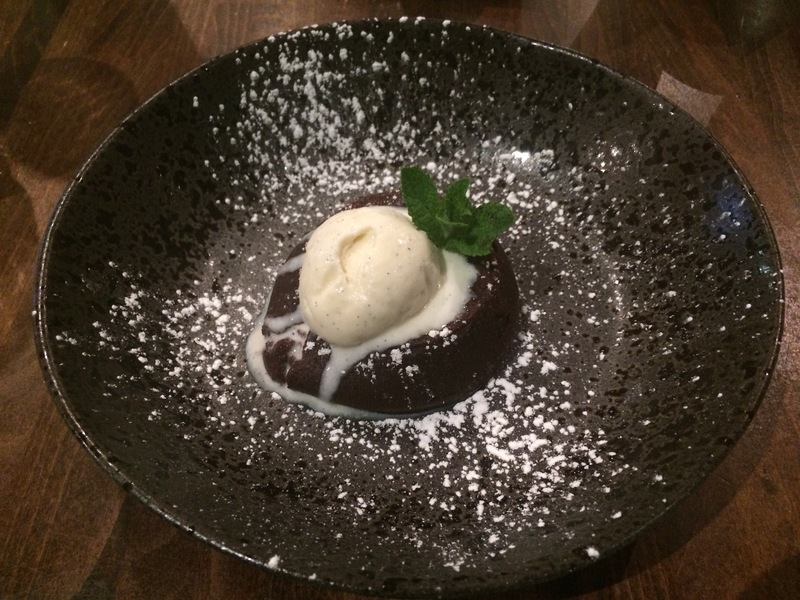 True to its name the Chocolate melt had a creamy warm melting centre with vanilla ice cream on top. It was the right potion and delightfully rich in flavour. After our light dinner, it was time to sightsee around Greenwich village. Although the nice weather was interrupted by a sudden shower of heavy rain, the scenery was great. We both got to see the wonderful sorrounding which are so easily forgotten about for us Londoners. Times like this remind me that it is best to not things for granted. Look around, explore and enjoy life. As a photographer, Eddie has been able catch such memorable life moments. You can see many of his work on Instagram @edcapture and Snapchat @ed-cam.